I adore the Shopaholic series, each book is absolutely stuffed with the fun factor and I love giggling my way through them. The thing that always capivates me with these books is the logic Becky uses to justify her crazy spending- mainly because I know I've done exactly the same thing, some days I'm really good and can talk myself out of buying anything; but then other days I'm just like Becky, and can make myself think that pretty much anything is a total bargain and I 'really need' it right now! 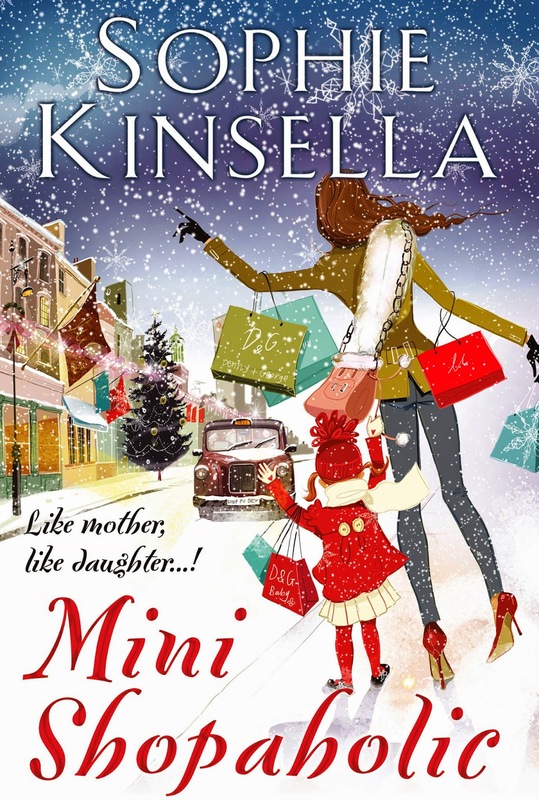 In this book we meet Minnie, who is Becky's troublesome daughter, she is full of mischief and well on her way to becoming a shopaholic just like her Mum. All the well loved family characters are back, with Luke continuing to be too distracted by work to notice the crazy goings on in his wife's life. Whilst the country is having a financial crisis, Becky is arranging ways to spend money she doesn't have in a bigger way than she ever has before. Becky's optimism and go-get-it attitude is so inspiring, and she is such a loveable character. I love reading the shopaholic books because they are so very easy to read that they are a pleasure to whirl through. You are guaranteed giggles and heart-warming moments in this, as with the other books in the same series. I promise if you read this one you won't be disappointed. 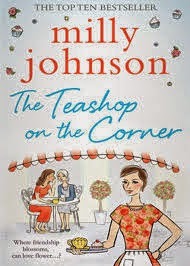 The Teashop On The Corner by Milly Johnson. Like all Milly Johnson novels I was swept away by the characters and the setting of this book. The namesake of this book, and place where all the characters get to know each other, is such an adorable cafe. Not only selling cakes, the names of which will make your mouth water, but also the most adorable book-themed gifts which sounds like every bookworm's dream... if this cafe was a real place I would definitely be making a visit. There are lots of characters in this book, not too many that it gets confusing but just enough that there is plenty going on, and someone in the book that every reader will be able to relate to. All the characters were wonderfully strong, each with their own little flaw that made you love them all the more. I particularly liked the relationship between Leni, the owner of the teashop, and her Saturday boy. He was so sweet, and she had such a sad back-story which when revealed gives you faith in the power of friendship and forgiveness. I also adored the fact that some well loved characters from previous Milly Johnson novels made appearances in this book, I always love a good character cross-over! This book is really easy to read and would make a brilliant holiday read. It tells a story full of endearing characters who will make you laugh and make you cry, but most of all this book will leave you with a warm, fuzzy feeling and a smile on your face. Life is full of second chances...if only you keep your heart open for them. Spring Hill Square is a pretty sanctuary away from the bustle of everyday life. And at its centre is Leni Merryman's Teashop on the Corner, specialising in cake, bookish stationery and compassion. And for three people, all in need of a little TLC, it is somewhere to find a friend to lean on. Carla Pride has just discovered that her late husband Martin was not who she thought he was. And now she must learn to put her marriage behind her and move forward. Molly Jones's ex-husband Harvey has reappeared in her life after many years, wanting to put right the wrongs of the past before it is too late. And Will Linton's business has gone bust and his wife has left him to pick up the pieces. Now he needs to gather the strength to start again. Can all three find the comfort they are looking for in The Teashop on the Corner? And as their hearts are slowly mended by Leni, can they return the favour when she needs it most...? A story of love, friendship and second chances that will warm your heart and rekindle your hope. This was a fabulously fun read. I've only read one other book by Mandy Baggot, Made In Nashville. I loved that one and I love this one too. Right from the start you'll be swept away with the romance of the story, and I fell in love with Freya, the main character, from the first pages. I was right behind her and had my fingers crossed that everything would work out for her. She was so very normal, and loveable, that I could really relate to her and all her insecurities. As Freya escapes her good-for-nothing boyfriend by running away to see her best friend, Emma, who lives in Corfu, she meets Hollywood film star Nicholas and gets swept off her feet. There is so much more to this story than a fluffy romance, the story is full of mystery, with Freya's past being a secret that only her and Emma are aware of. And then when you're least expecting it, Nicholas shocks the reader with a secret of his own. I can't help but get completely swept away with Mandy Baggot's writing, the story was so romantic, it really does give you that warm fuzzy feeling as you're reading, and makes for a story that you just can't put down. Think perfect chick-lit with a hint of extra magic. When the going gets tough Freya Johnson gets going! Enter Hollywood film star Nicholas Kaden whose entourage is stirring up the village of Kassiopi while filming his new movie. He’s hot, he’s unexpectedly different, but is he for real? Caught up in a media frenzy, feeling unwelcome and uncomfortable in Nicholas’ movie world, Freya battles with the ghosts of her past and the uncertainty of her future. Can she help Emma, keep her own big secret and find out what Nicholas is hiding, before she feels the urge to run away again? 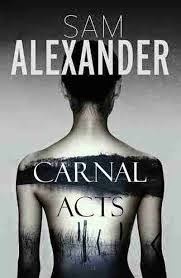 Carnal Acts by Sam Alexander. "Sam Alexander is a pseudonym for an acclaimed British crime writer. His identity will be unveiled if and when the time is right ..."
When I found out this book was written by a pseudonym it captured my interest straight away, I love a good mystery. Whilst I love reading crime books I am by no means an expert on them, so despite reading it, I still have no idea who 'really' wrote Carnal Acts. This is a brilliant work of crime fiction which opens with a mystery that keeps running throughout the book and isn't revealed until the very end - it kept me guessing the whole way through. The main detective in the book, Joni, is such an unusual character, so strong and determined to break the case, but could be seen to use a little bit too much force sometimes to find her answers. Her mother is a zany character who seemed to me to be a white witch - always at one with nature and cooking up some very strange home brews. I really liked the other main detective, Heck, who despite being old in service with illness holding him back, had enough fire in his belly to tackle some of the most dangerous criminals. There were many strands to the crimes being committed, with lots of offenders encompassing many different groups. I had to concentrate in places to keep up with the action as the book is so fast paced that the crimes and their investigation race by; but this just made it a thoroughly interesting read. All in all I found it a gripping story, it felt a little bit more quirky than some other crime novels - it had something sassy about it that made it stand out from the crowd. And if you think you know who Sam Alexander is then please let me know!! Take Mum Out by Fiona Gibson. 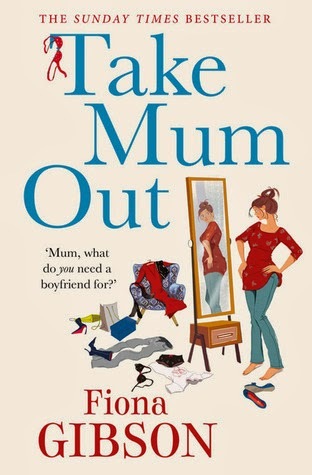 This was such a fun book, telling the story of a harassed and very busy Mum of two teenage boys who dares to re-enter the dating scene after many years away from romance. Alice is such a warm, realistic and genuine character that you'll fall in love with her straight away. Her two teenage boys, whilst being the typical teenagers in some senses, really restore your faith in teenagers as being caring and fun to have around rather than spending all their time moaning and being moody! Alice agrees to go on three blind dates which are set up for her by her three best friends. Its really interesting to meet all the new characters introduced into the book this way, some of whom you hope to read more of, and others who make you cringe! Despite dealing with some very real insecurities, this book is filled with love and laughter. Alice is a real trooper, she doesn't let anything get her down. Her busy family life only makes you envious of her drive and determination to make a better life for her family and find herself some romance. All in all this is a really fun, warm book, and will have you giggling and cringing in equal measure! Given the rather cryptic blurb that appears on the back of this book I don't want to give away the storyline as I enjoyed reading the book without any idea of what was involved in the story. I will say that the story intrigued me from the beginning. The style of writing was brilliant and allowed me to enjoy Little Bee's accent as her words ran around my head. I was gripped by the story from the start, quite early on a mystery is revealed that has you turning pages wanting to uncover the secret of how the two main characters, Little Bee and Sarah were connected. 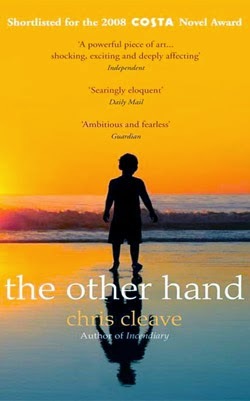 Parts of the book were quite disturbing, and it deals with some heavy issues, but not in a way that will leave you feeling unsettled, rather it really makes you think; and I felt myself considering subjects in a way that I never would have before. I know that this blog is a little bit cryptic, but I really enjoyed that I had no preconceptions of how the story would pan out when I read it, and hope that if you go on to read it you would feel the same too! All I can say is that this book is full of very strong characters with an incredibly powerful story to tell, which will keep you turning pages at a fast pace.